"Beauty and the Beast" may have cost more than any musical in history, but Disney has reason to believe it's worth the price. Bill Condon knew that turning the 1991 animated musical classic “Beauty and the Beast” into a live-action musical would be a huge risk. 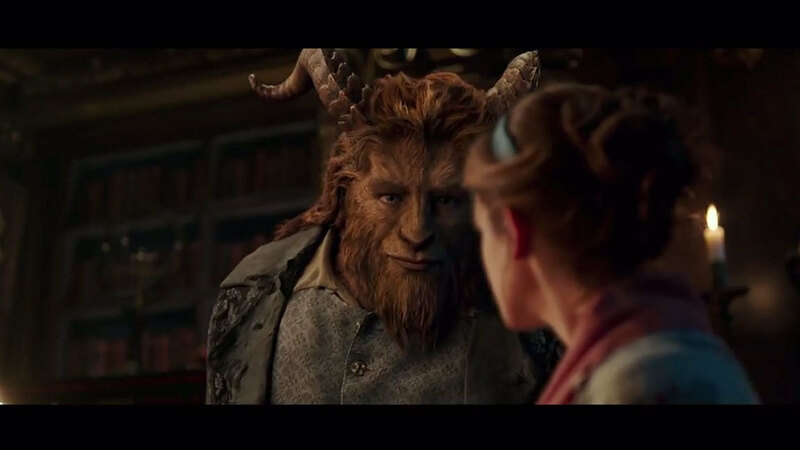 In many ways, Condon’s a perfect match for “Beauty and the Beast.” He’s one of the few directors who know how to deliver intimate, swoony romance, believable singing musical sequences, and digitally enhanced visceral action. He wrote Rob Marshall’s Oscar-winning “Chicago,” wrote and directed “Gods and Monsters” (starring Oscar-nominated Ian McKellen) as well as the Oscar-winning musical “Dreamgirls,” and shepherded the last two “Twilight Saga: Breaking Dawn” sequels to $1.52 billion worldwide. Given the chance to make the biggest-budget movie of his career, he embraced what could be the most expensive Hollywood musical of all time. 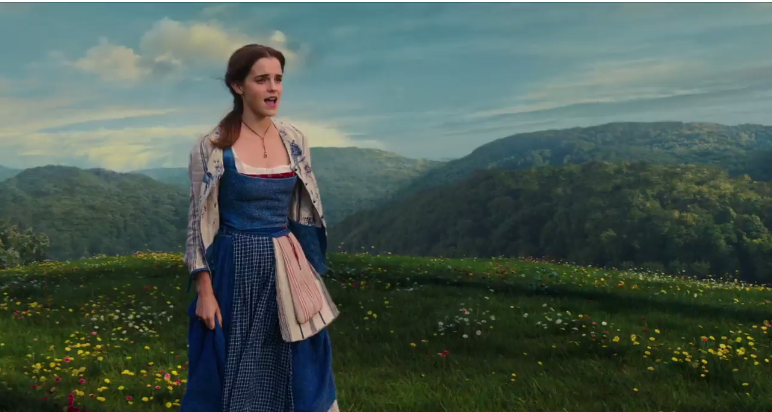 “Beauty and the Beast” clearly has The Condon Touch: two men in love with the same feisty heroine, digital wolves, magical creatures, Ian McKellen, swirling cameras, gorgeous production values, a rich orchestral score, and a cache of musical references that include everything from Busby Berkeley to Bollywood. Assuming “Beauty and the Beast” cost its reported $160 million, there’s only one other movie musical that cost more (adjusted for inflation): Period musical “Hello Dolly” cost $25 million in 1969; today, that’s $165 million. Add “Beauty and the Beasts” global marketing costs, and you get to $300 million. Still to come: live-action remakes of “Dumbo” (Tim Burton), “Aladdin” (Guy Ritchie), “The Lion King” (Jon Favreau), “Cruella” (starring Emma Stone), and “The Little Mermaid,” with songs by “Mary Poppins” star Lin-Manuel Miranda (“Moana”). “Beauty” producer and former Disney executive David Hoberman said the 13-year global stage hit “Beauty and the Beast” musical also boosted Disney’s confidence, as did Universal’s global smash “Momma Mia!” and the success of Disney’s original princess animated musical, “Frozen” ($1.2 billion worldwide). Hoberman had developed a darker “Beast” narrative (from the Prince’s perspective) before Disney came back to him with the live-action musical remake. He brought Condon to the studio. Hoberman and Condon convinced the studio to let Condon build two enormous, connected sets at London’s Shepperton Studios, on a scale that not even Martin Scorsese can command. Condon argued that real brick and mortar was necessary to ground animated characters like Framestore Studio’s candlestick Lumiere, clock Cogsworth, teapot Mrs. Potts, and the magnificent Beast, as rendered by ILM. The movie announces the scope of its ambitions with the Beast origin myth, loosely based on the 1740 French fairytale adapted by Jean Cocteau in the 1946 classic “La Belle et La Bête.” Inside the castle, we see a spoiled young prince (“Downton Abbey” grad Dan Stevens) presiding over a gilded Rococo ballroom worthy of a 18th-century Donald Trump, gazing at a bevy of twirling white-gowned beauties seeking to catch his eye. The director expanded the world by adding backstory, supporting relationships, and recreating many of his favorite musical moments, as well as several new songs. Alan Menken and Tim Rice’s “Days in the Sun” gets three spins in the movie, starting with the debutante ball, where it is sung by Broadway belter Audra McDonald. When the prince sends an ugly hag back into a raging storm, she turns out to be an enchantress who casts a spell on the selfish scion and his castle staff that can only be broken if he can fall in love and be loved in return. That’s where bookish Belle (Emma Watson) comes in. Her academic father (Kevin Kline) sought refuge in the country after he lost her mother in Paris. “There must be more than this provincial life,” Belle sings, walking through the village surrounded by 150 extras, livestock, and 28 wagons. Feminist Watson embraced Belle’s identity as an independent outsider; she disdains the attentions of hunky soldier Gaston (Luke Evans), who seeks to tame her. “She represents a dangerous character in the social structure,” said Condon. Belle runs from Gaston, but chases after her father when he stumbles into the Beast’s lair. She surprises the Beast by substituting herself as his prisoner, and by standing up to him. Like any self-respecting feminist, she civilizes her man. With Disney’s approval, Condon also wrote a subtle subplot featuring Gaston’s comic sidekick LeFou (Josh Gad), who harbors a crush on his master and has an eye for a cross-dressing villager. Condon regrets letting the cat out of the bag ahead of the opening; it dominated headlines, and led Russia to slap a more mature rating on the family film, and, after Malyasian censors insisted on cutting the movie, Disney shelved its release in that country until further notice. The deep dining room is the setting for the joyously giddy “Be Our Guest” centerpiece, which Hoberman and Condon admit is likely the most expensive single musical sequence ever put on film. 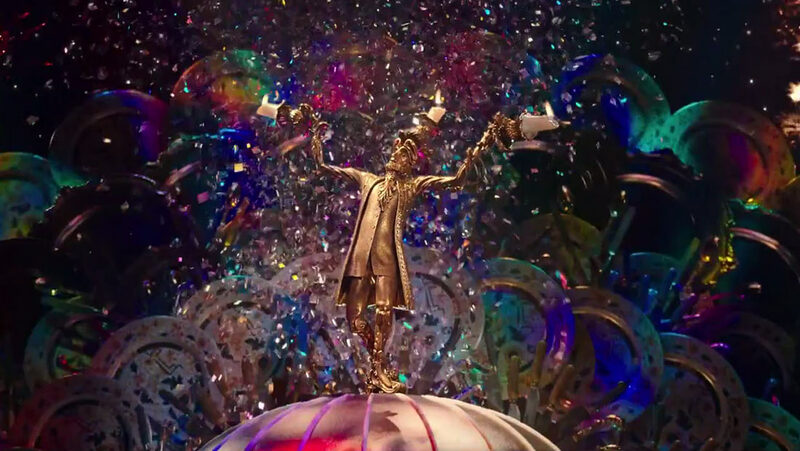 Not only does magical candelabra Lumiere (Ewan McGregor) welcome Belle to dinner, accompanied by Cogsworth (Ian McKellen) and Mrs. Potts (Emma Thompson), but the extravaganza whirls into an expanding pixelated Busby Berkeley musical sequence complete with glittery kaleidoscopic fireworks. It’s huge, and something that could only be imagined in a computer. “That took six months of planning and 15 months to complete,” Condon said. The cast pre-recorded their own songs (Kline sings his quiet songs live), including three new ones by Menken and Rice, plus some final closing lyrics written by the late Howard Ashman for the 1991 animated film. “It was a beautiful way to end the movie,” said Condon.